Location : North East Carcassonne, a large amphitheatre, South orientated, 30 km from North to South and 50km from East to West. The typical expression of the Mediterranean wine dominated by Syrah with its spicy and liquorice character. Canal du Midi : however the area widely benefits from Mediterranean influences, it is the warmest part where soils are mostly sandstone and stony terraces. 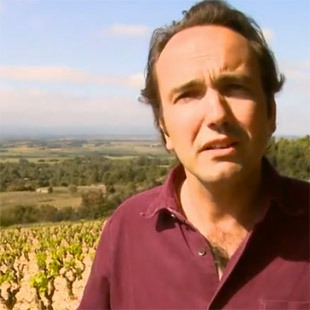 It is also one of the earliest area in Minervois which may overtake ripeness 2 or 3 weeks before some places in Les Causses. Les Causses : the North East part of the appellation, extending from 200 to 500m in altitude, with limestone and limestone clay soils. It is a cooler and late ripening zone, producing fresher wines and Muscat de St Jean de Minervois. Les Mourels and the foothills : les Mourels, this triangle Aigne-Azillanet-Pouzols and its continuation toward the West on the foothills area up to Trausse is the driest of all the Minervois. Faraway from the last oceanic influences and not yet benefiting of the Mediterranean Sea, vine here, planted mostly on sandstone soils, is very early ripening and produces rich and concentrated wines. Les Trois Vallées : gathering Vallée de l’Orbiel, of La Clamoux and of l’Argent Double, this area is located at the extreme North West of the appellation, bordering Cabardes AOC, just where the oceanic influence starts. Often planted in 300m altitude, this is the coolest part taking advantage of much more important rain falls as a consequence, vine gets ripe later and wines are fresher. However in some places the first schists can be found. Soils are here mainly stony terraces. Les Terrasses : Laure-Rustique-Puichéric, this triangle is quite a temperate area with the combined influences of Mediterranean Sea and Atlantic Ocean on sandstones and stony terraces. Wines produced here are usually less extreme and more balanced. 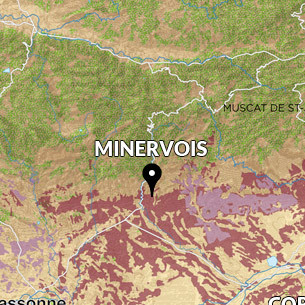 Quite significant climatologically variability can be observed in the Minervois due to this geographical situation, combined with the influence of the distance to the Mediterranean Sea. You may observe some important temperature differences, 3 to 4°c, same changeabless also for rain falls, from 500 to 800mm in annual total on specific climatic areas. It is for us the typical expression of the Mediterranean wine dominated by Syrah with its spicy and liquorice character. They are mostly sourced from the area of La Livinière and from the cooler part of Caunes. 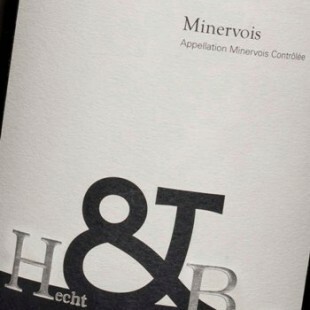 The blend is usually completed with some fruity Grenache from Pepieux and some lively Carignan from the western part of the AOC, in order to balance the hottest Syrah.